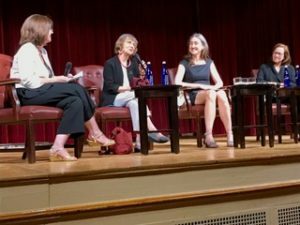 “Miracle on 42nd Street” Film Screening & Panel Discussion at Vanderbilt Hall. Miracle on 42nd Street is a fascinating documentary about the history and impact of the Manhattan Plaza apartment complex in New York City. Starting with the history of the blighted Hell’s Kitchen neighborhood and the facility’s initial commercial failure in the mid-1970s, the story recounts how – in a moment of bold inspiration or maybe desperation – the buildings were “re-purposed” as subsidized housing for people who worked in the performing arts. 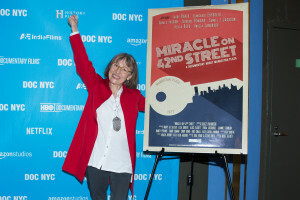 Alice’s new documentary Miracle on 42nd Street had its world premiere at DOC NYC, America’s largest documentary film festival. 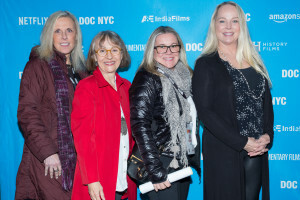 It was great to see so many supporters of the film, from cast and crew to donors to Manhattan Plaza residents, attend the film’s SOLD OUT premiere and see the end result of a nearly ten-year production. Alice is currently negotiating distribution for the film. We will keep you updated on any upcoming screenings. 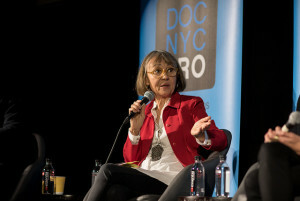 Before the screening of Miracle on 42nd Street, Alice participated in a panel called “Getting Creative with Archives” at the DOC NYC PRO conference, where she shared her insights on using archival material to tell a story. In June, Alice & Diana will be presenting a 10-year anniversary screening of Body & Soul: Diana & Kathy at the 6th Annual IAC Conference in New York City. The IAC is the Interagency Council of Developmental Disabilities Agencies and we are pleased to be celebrating Diana and Kathy as two trailblazing self-advocates at this event. The presentation takes place on June 8th at 3:15 pm at The Graduate Center on Fifth Ave and 34th. We hope to see you there! Click here for more info. In addition, Diana & Alice will also be presenting Body & Soul; Diana & Kathy at the NACDD (National Association of Councils on Developmental Disabilities) Annual Conference in Salt Lake City this July. They will be featured in a moderated panel that will focus focus on self-determination, the progress we are making, and the alternatives to guardianship. The panel will also feature policy specialist Jeffrey Miller, Director of the Illinois Council on Developmental Disabilities Kimberly Mercer-Schleider, and Aging and Disabilities Program Specialist Linda Kendall Fields. The conference will be held from July 11-14. Feel free to email us about details as the event approaches. If you are in the Salt Lake City area we would be happy to arrange additional screenings and meet with you. Click here to watch Alice’s special presentation “disAbilities Matter: A Focus on Disability Awareness” at the 2016 Human Relations Month Forum in Orange County, North Carolina with an introduction by James E. Davis, Jr.
On January 30th, Alice will take part in NYU Steinhardt’s FACE event. She will introduce and screen her short film Accommodation. Alongside Alice, Bing Wang and Allan Goldstein will both present a clip from The Ability Exchange , and Jason DaSilva will screen a clip from his Emmy Award-winning film When I Walk and will discuss AXSmap, his neighborhood accessibility app. Following the screenings, there will be a 30-minute Q&A with the presenters. Don’t miss it! 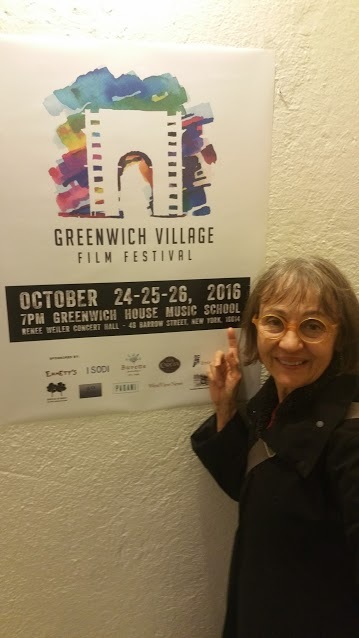 Alice recently screened her Academy Award-nominated short “The Collector of Bedford Street” as part of the Village Portraits segment of this year’s Greenwich Village Film Festival. Alice attended the screening on Opening Night!